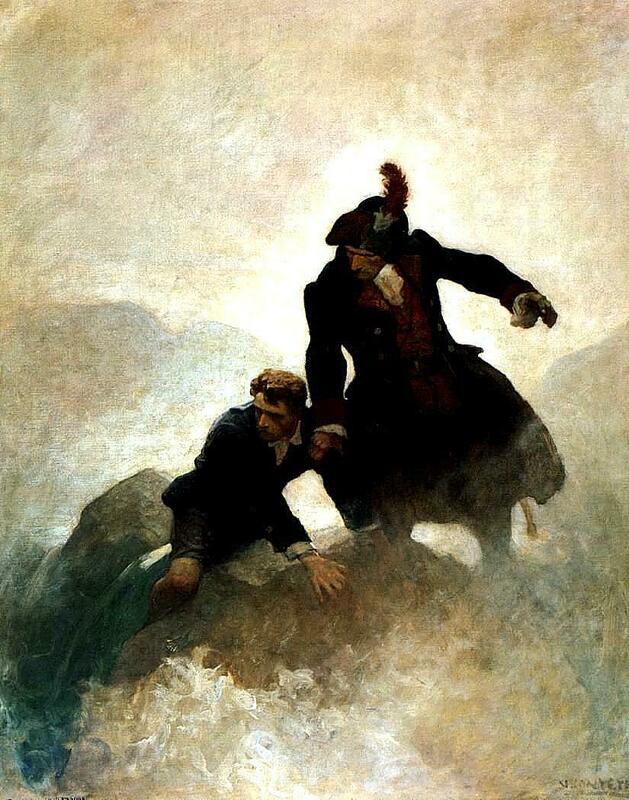 Of all of Robert Louis Stevenson's books Treasure Island (1883) is my favorite. 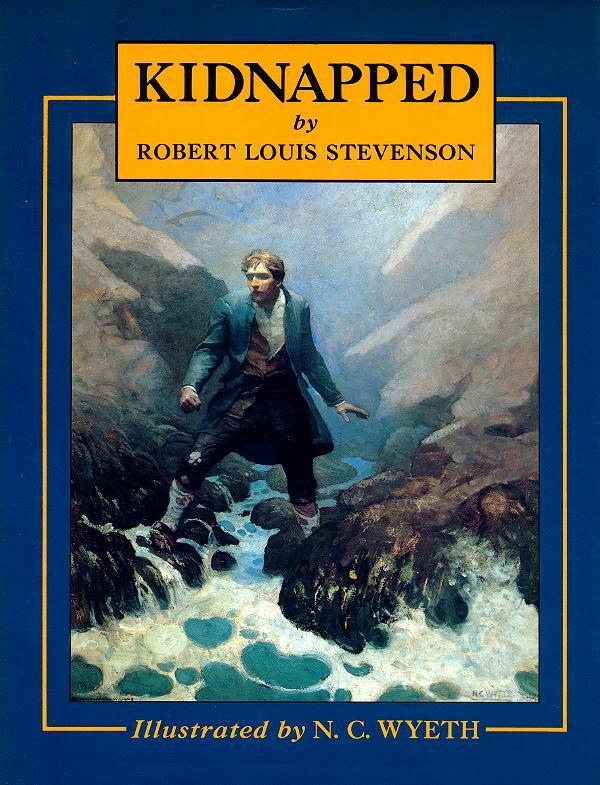 Kidnapped (1886) is a very close second. The best hardbound edition of that second book, with magnificent illustrations by N.C. Wyeth, was published by Scribner in 1913 and has been re-published periodically ever since. The cover illustration on the right is from one of the best of the later editions. I came across electronic versions of the book today at ManyBooks.net where, since the book is out of copyright, it can be downloaded free. Kidnapped: Being memoirs of the adventures of David Balfour in the year 1751: How he was kidnapped and cast away; his sufferings in a desert isle; his journey in the wild highlands; his acquaintance with Alan Breck Stewart and other notorious highland Jacobites; with all that he suffered at the hands of his uncle, Ebenezer Balfour of Shaws, falsely so called.